An exclusive freshwater pearl bridal bracelet just for Ellie's Wedding Accessories. 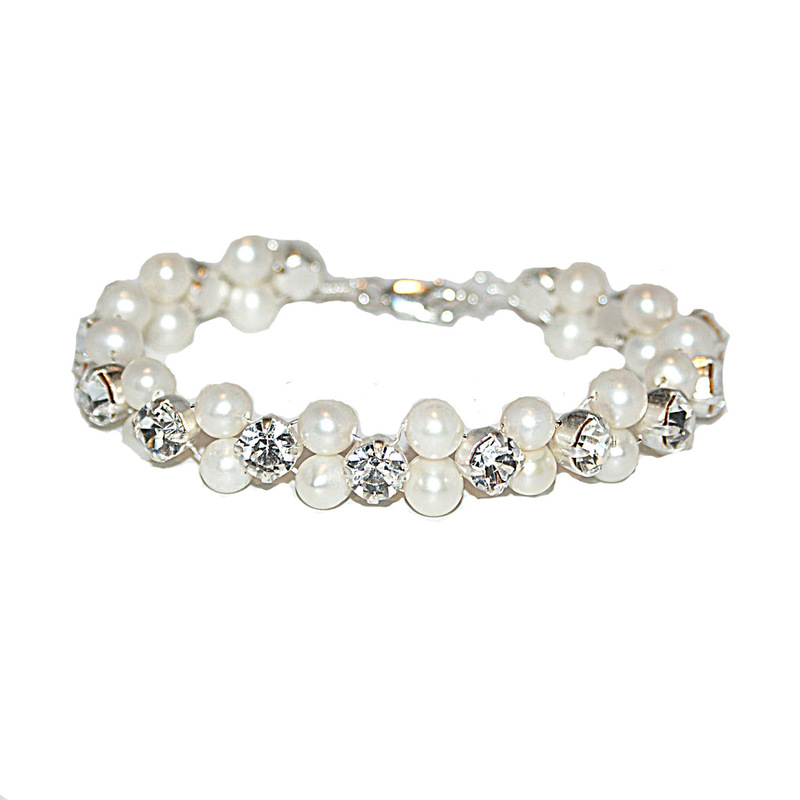 This beautiful bracelet has been made using the same pearls and diamantes as those in the Ellie Sanderson exclusive headband so is a perfect match. If that wasn't enough, we've also created a special pendant and earrings both in 925 silver too! This product was added to our catalog on October 19 Wednesday, 2011.